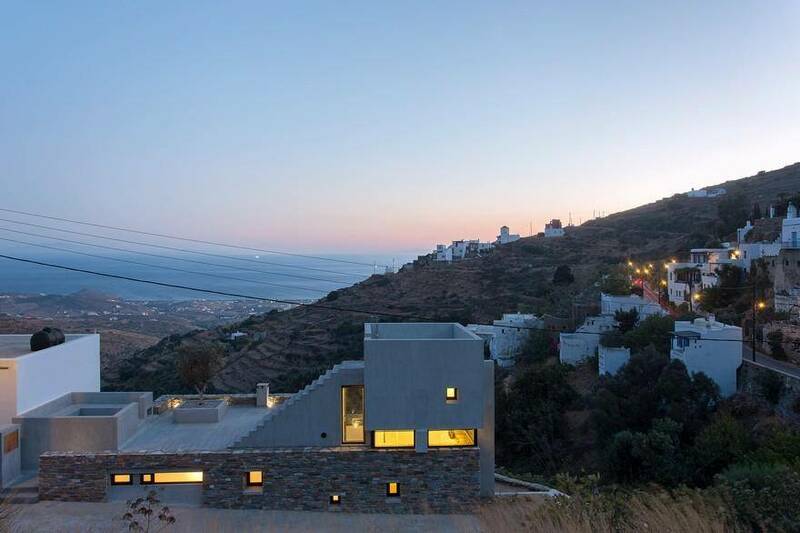 The house is located within the boundaries of the settlement of Kampos, at the Cycladic island of Paros. 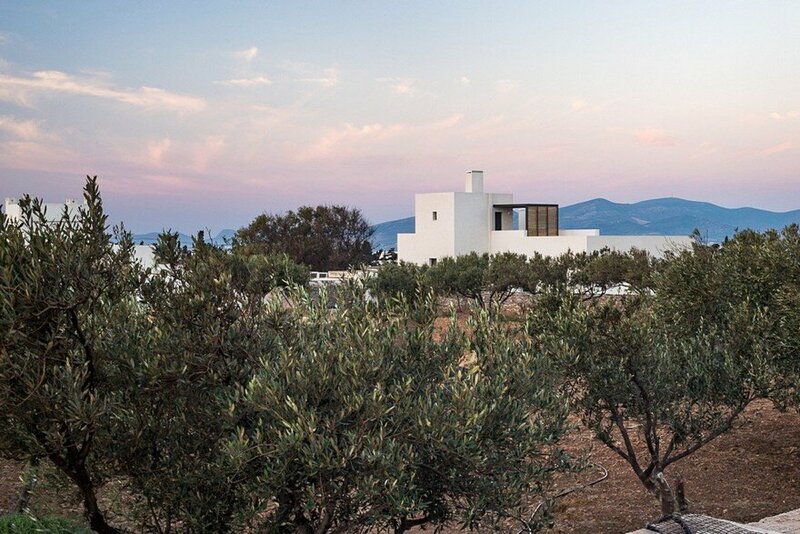 Its natural presence is enhanced by the sublime rural landscape surrounds it, which consists of cereal fields, small vineyards and olive-trees. 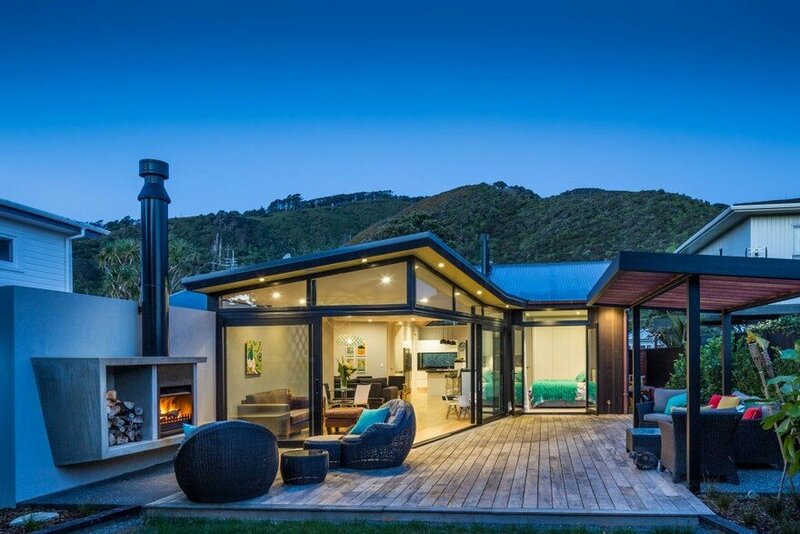 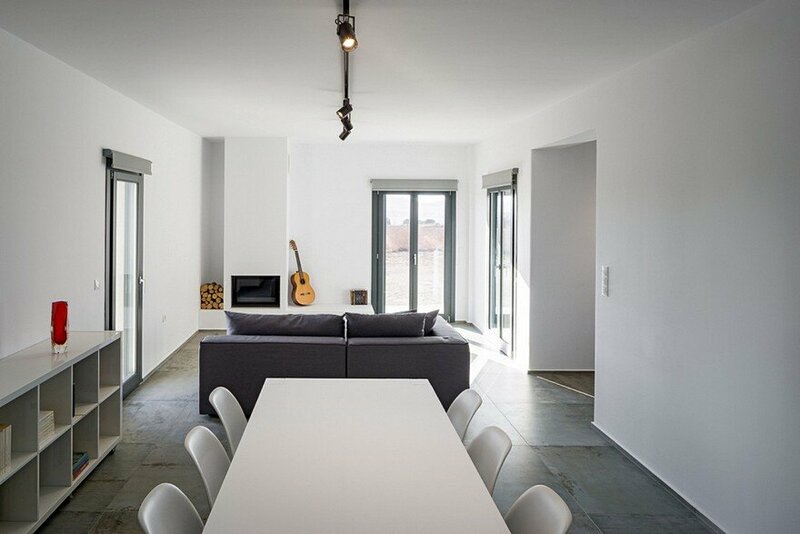 It provides accommodation for a family of five all the year round, a situation entails a living organization, unlike the typical holiday house. 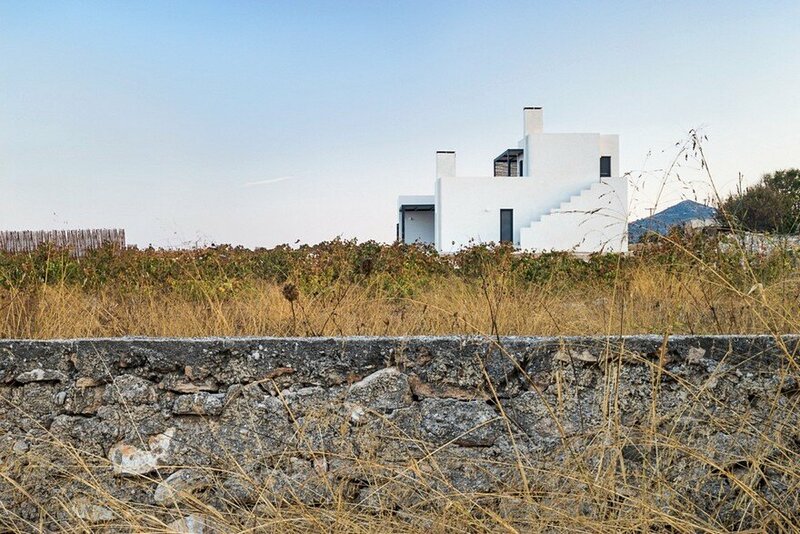 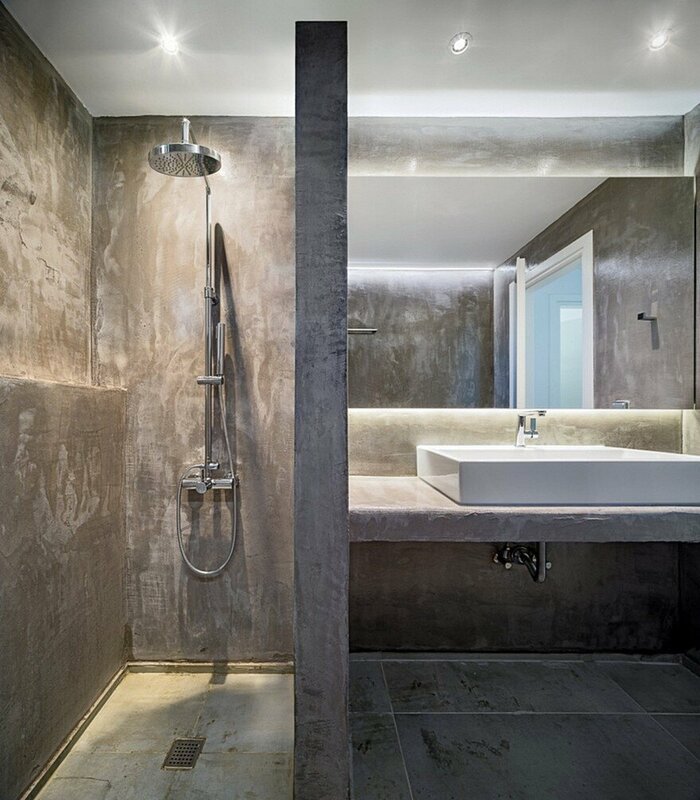 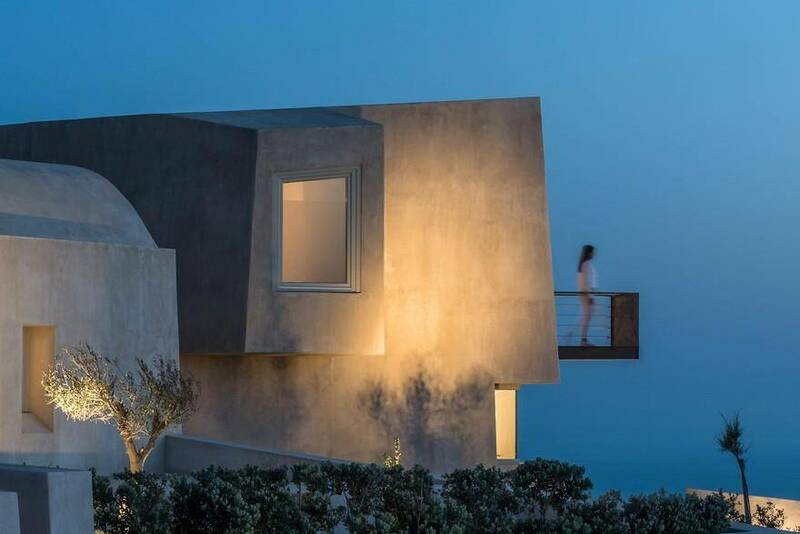 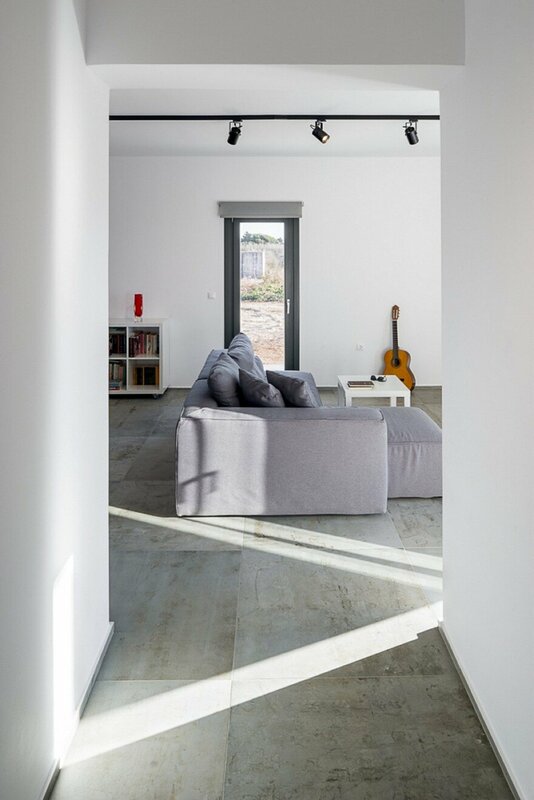 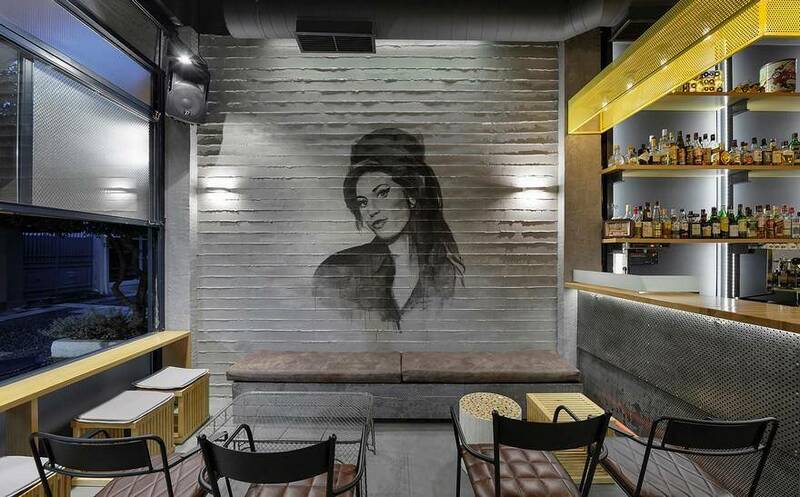 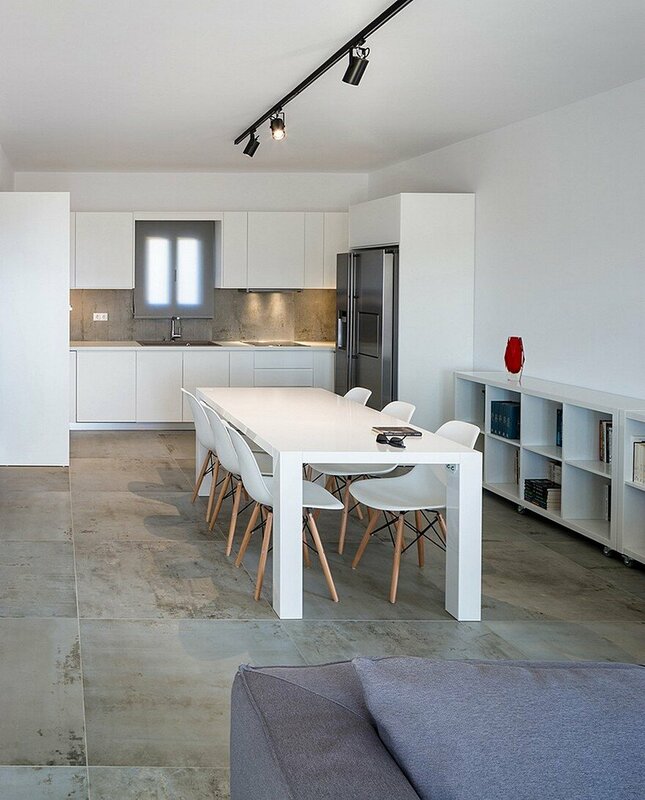 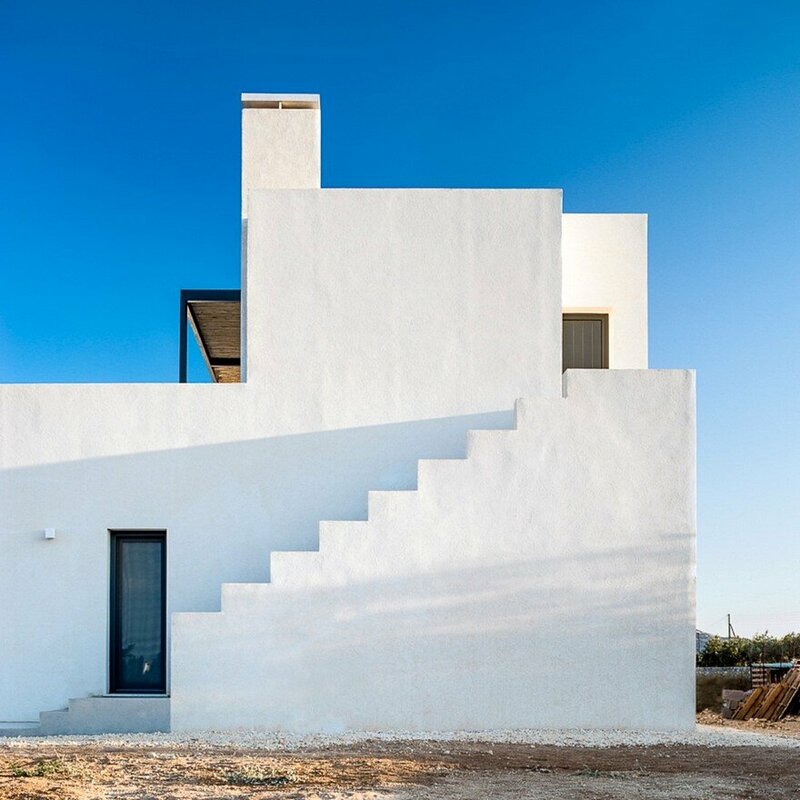 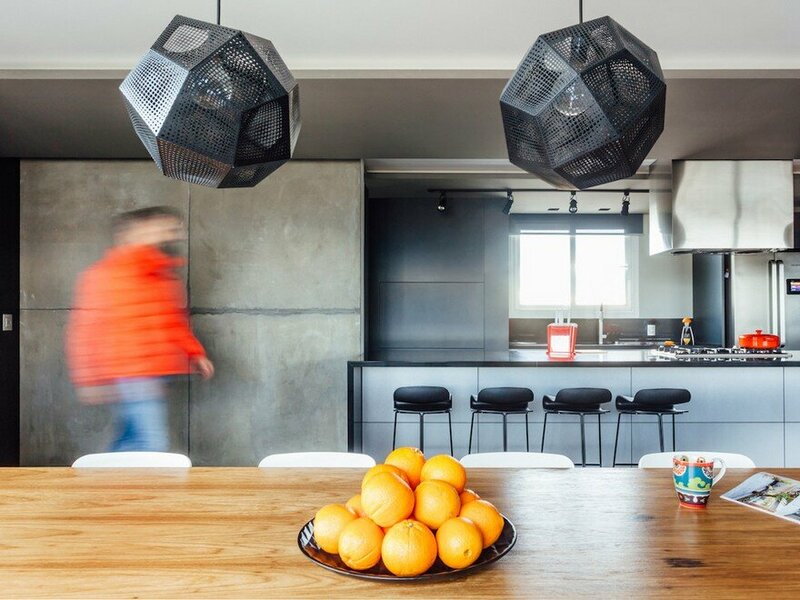 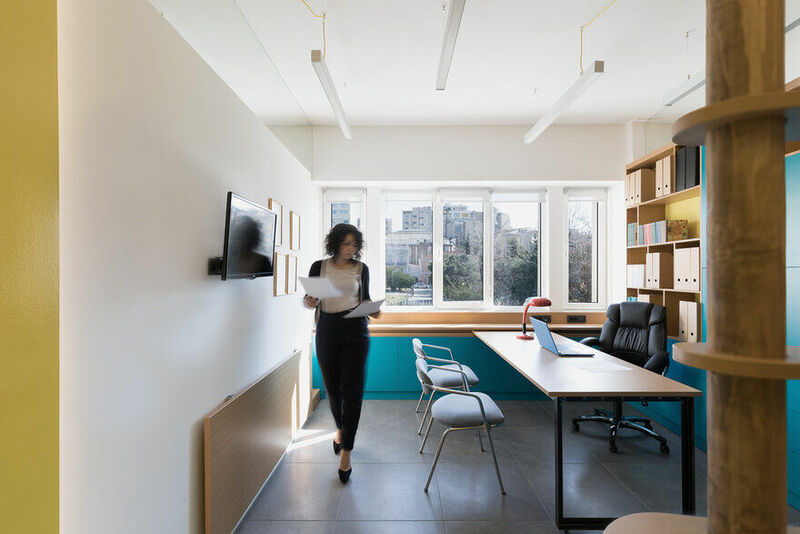 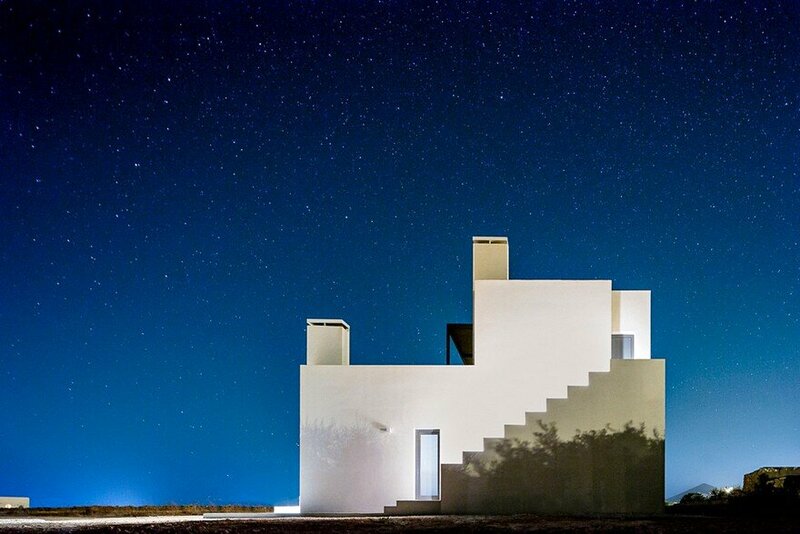 Kampos House was completed in 2016 by Lantavos Projects, a young multidisciplinary architecture and design practice founded by the Greek architect Vangelis Lantavos. 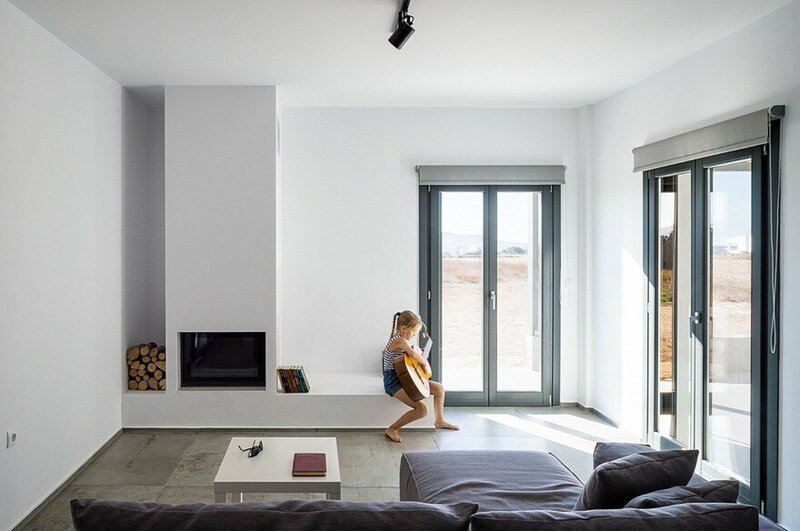 During the design stage, particular emphasis was given to the analysis of local characteristics and conditions, such as the strong light of Cyclades and the wind, for everyday contact with nature and outdoor living. 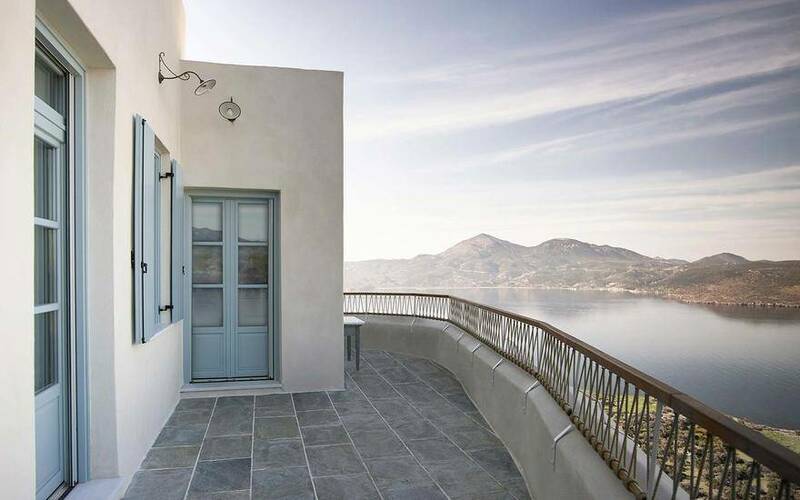 These greatly contributed to the design of the house, the aesthetic elaboration of which resulted from a modern and austere approach, without the use of exceeding decorative features. 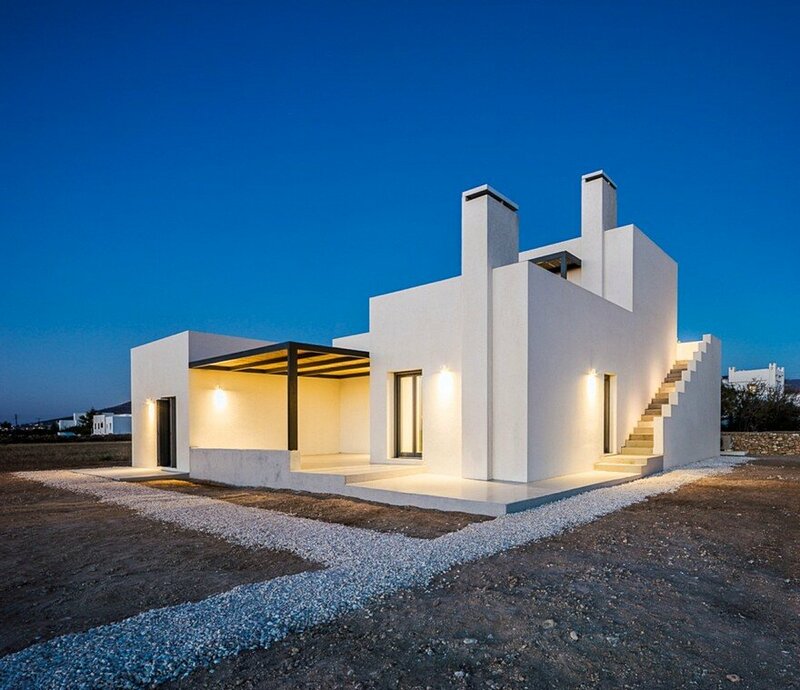 The building form derives from the deconstruction of a single rectangular prism, (an archetypal building form of the island), as a starting point for the formation of a void (veranda) protected from the strong northerly winds. 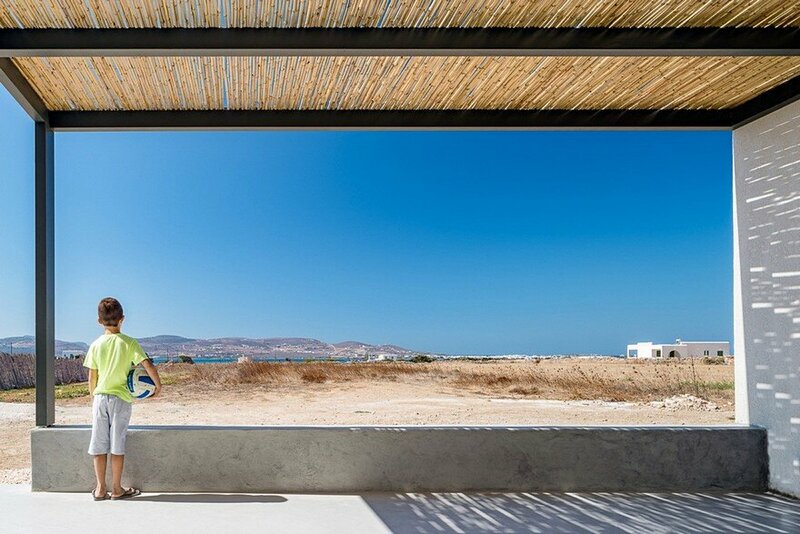 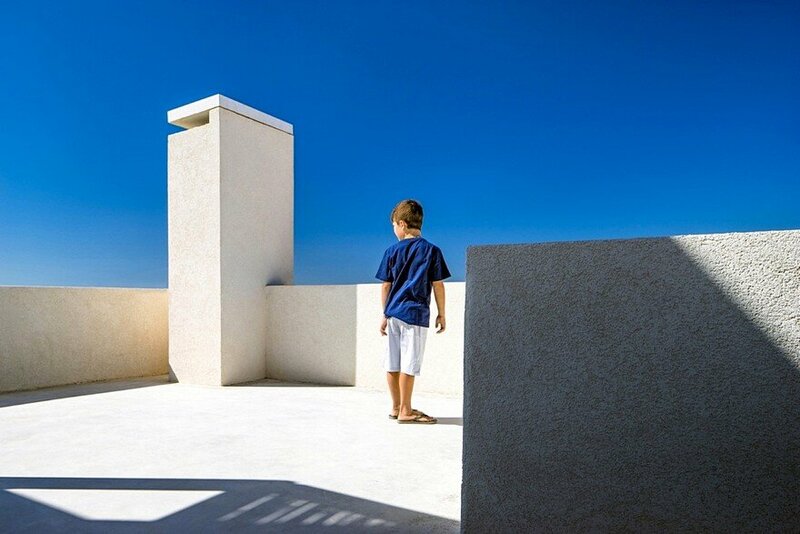 The removed volume is placed above the ground floor as an independent space for relaxation or hospitality, where one can enjoy unobstructed views towards Pounta area and Antiparos island, making use of a 95 m² roof terrace. 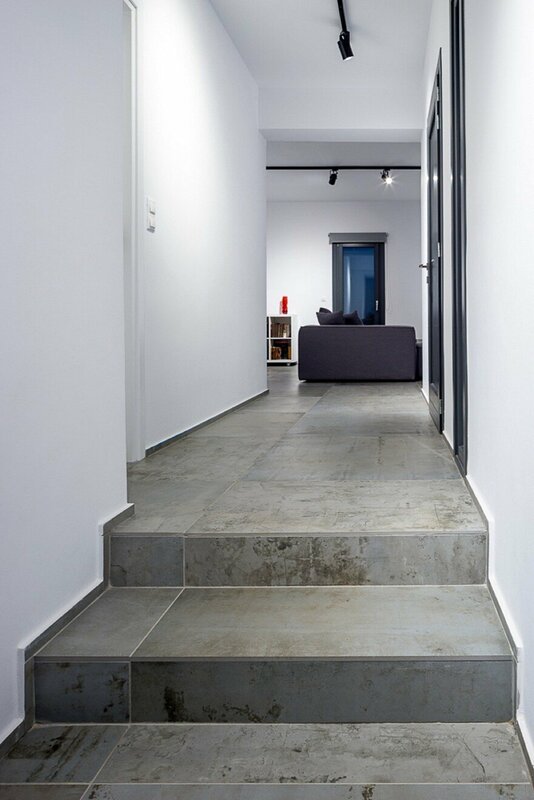 Of the two rectangular prisms on the ground floor, one recedes slightly in relation to the other, in order to reveal a part of the veranda and lead to the entrance. 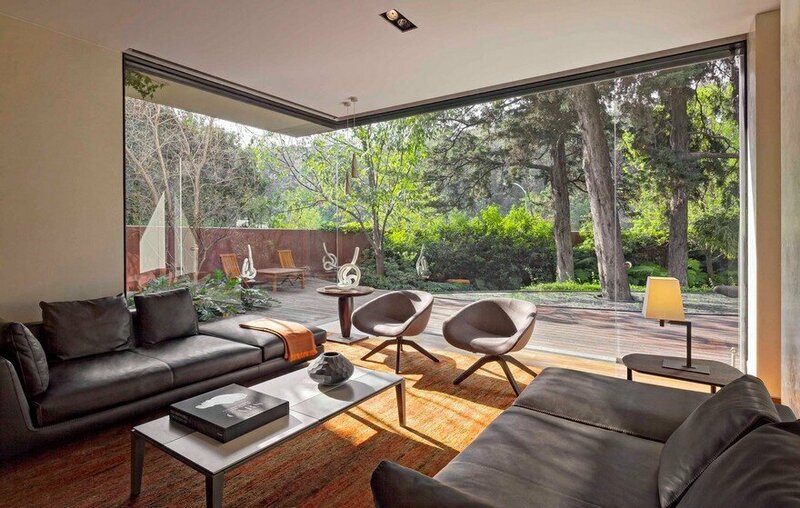 These two volumes form the backbone of the house. 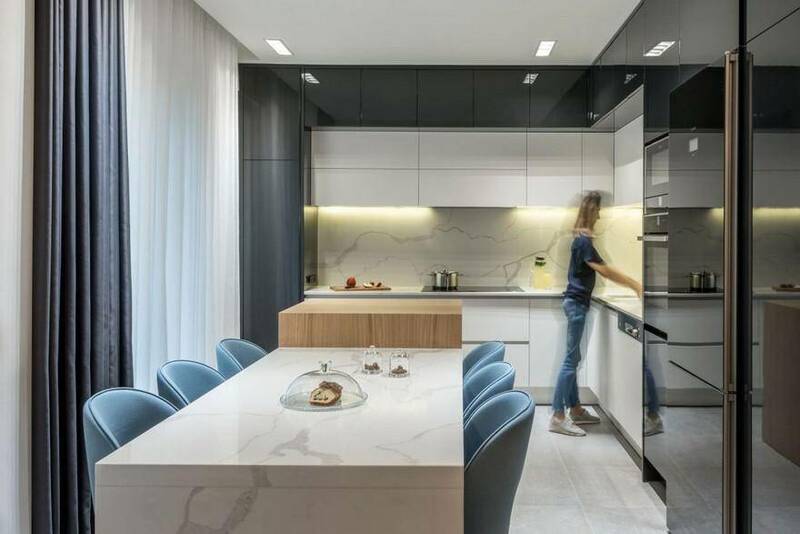 The first accommodates the day-to-day living areas, the second houses the private ones, family bedrooms and bathroom, with the auxiliary spaces linking the two. 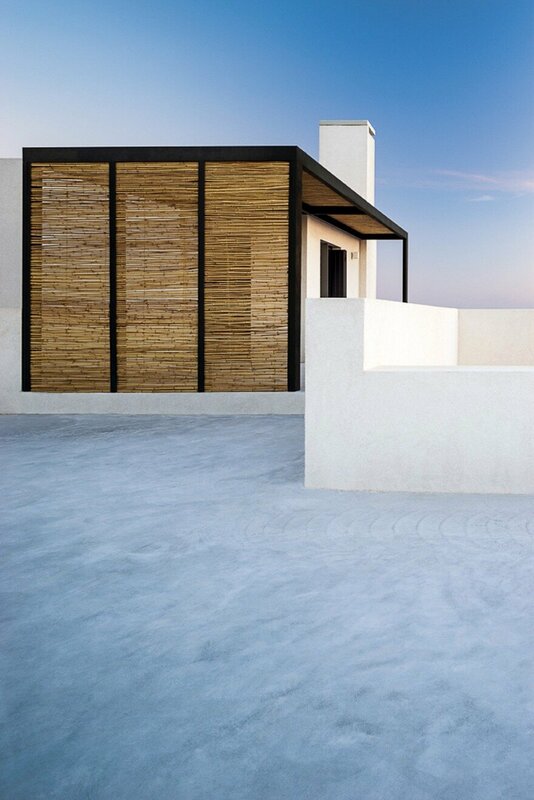 The orientation and shaping of the building volumes, the strategically positioned single small window in the northern side, the careful installation of a façade insulation system to avoid thermal bridging, as well as, additional elements like wooden pergolas, are all enhancing the energy performance of the dwelling in response to local conditions.